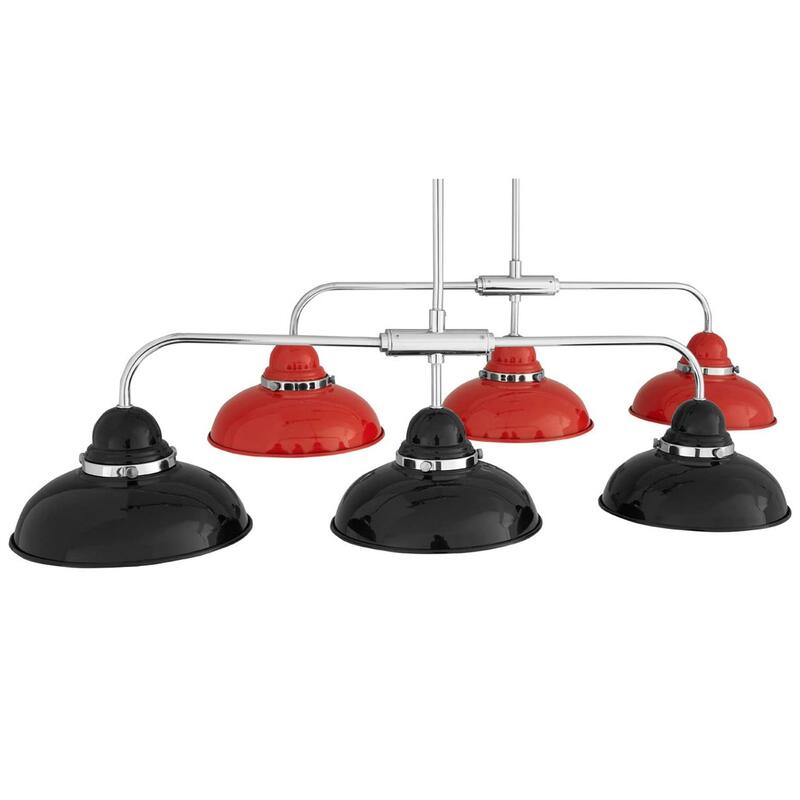 Add an industrial style to your home by introducing this wonderful Jasper 3 Shade Pendant Light. This pendant light has an incredible design that'd be sure to stand out and grab attention, whilst creating a modern environment in any home. The combination of the chrome and stainless steel materials contrasts with the vibrant colours to create a very distinct and eye-catching piece.